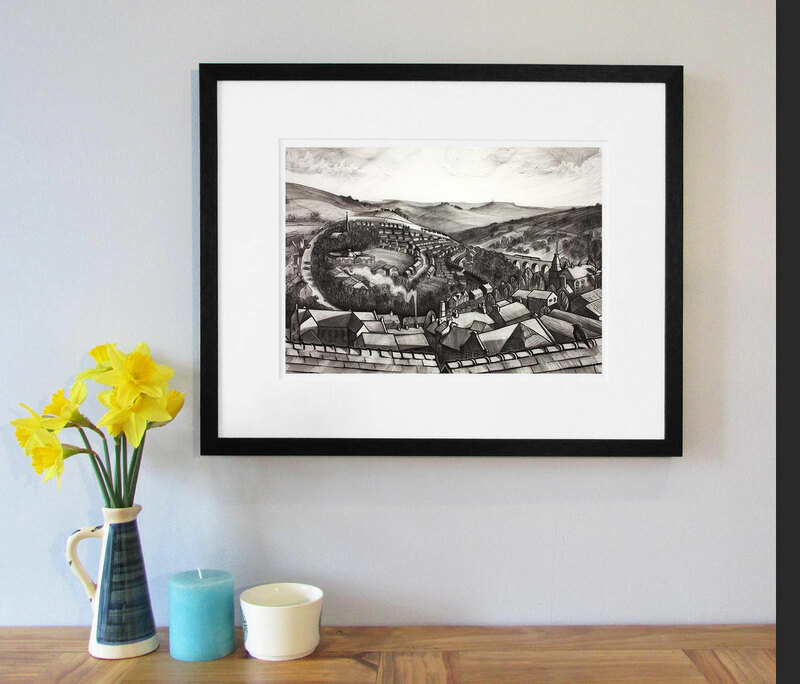 Charcoal townscape of New Mills, Derbyshire. 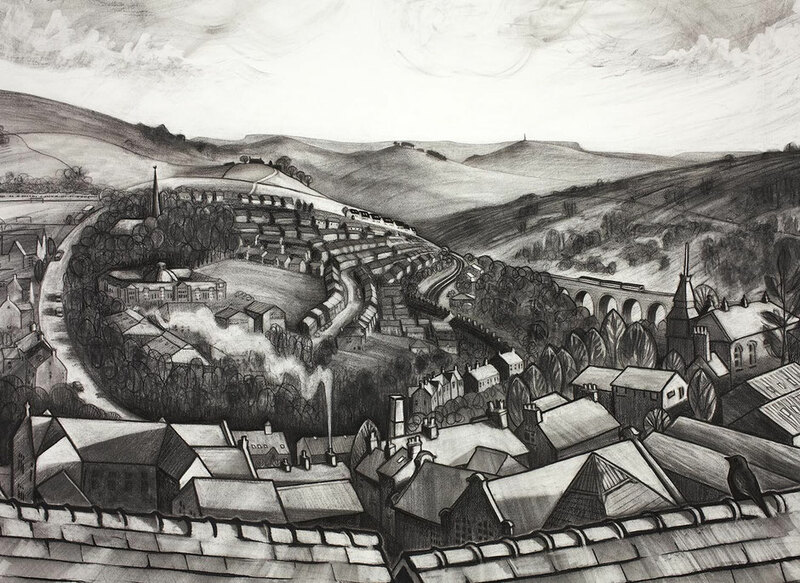 Drawn from a window on Leygate view, looking across the valley to St George’s Church and New Mills High School, with the Town Hall and railway viaduct on the left. This drawing was done as a commission.